By offering access to free fresh produce and canned goods, we provide valuable meal supplementation while helping those in need maintain their independence and dignity. Our Petoskey Food Pantry is open Monday through Friday from 9:00 to 11:30 AM and also following our Friday Night Live Community Dinners at 7:00 PM every Friday night. Every Friday evening a delicious aroma floods The Salvation Army which is abuzz with the chorus of staff and volunteers while they prepare the community dinner. The community dinner welcomes all local residents who are hungry; not only for food, but also for companionship. A kind word, a friendly face and a warm meal makes a huge difference in the lives of many participants; most of whom are low income, seniors, or homeless. 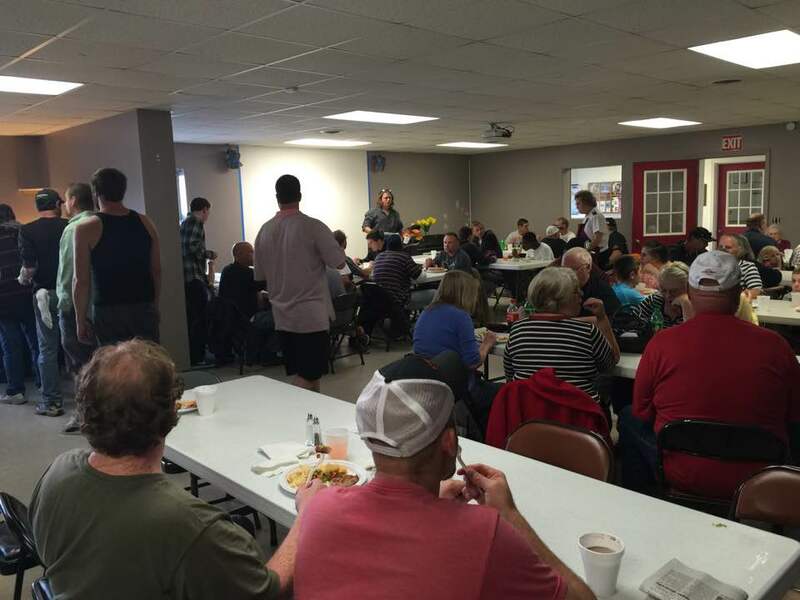 Often times the community dinner is the only warm meal that a homeless person will receive all week. It is also often the only friendly contact that a senior has with others which strengthens their quality of life. Our community meals are lovingly prepared by J.W. Filmore's restaurant while Johan's Pastry Shop donates top quality decadent desserts to compliment the like-home made meals.